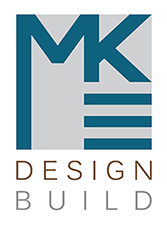 Our in-house MKE designer will meet with you at your home or business to discuss the scope of work, measure the project site, and explain our process. MKE will follow up with a proposed floor plan layout and conceptual design – providing you with the opportunity to make minor revisions prior to proposal. Once the floor plan is approved, MKE will provide a full budget proposal (a la carte format) with a detailed description of the scope of work. The proposal will outline all items and allowances included in the project. Once the budget proposal is approved, we are on to the next phase of planning. We will choose whether to meet at our design showroom located in Bay View just 10 minutes south of downtown, or out and about at some of our local suppliers and manufacturers. Our MKE designer will create an itinerary for the day and accompany you through the entire design selection process. After all selections are finalized, MKE will provide you with a finish selection schedule that includes all dimensions, colors, and style details for your approval. Once the final scope details and selections are made and approved, MKE will schedule a site walk-through with our trades and project managers to investigate existing conditions and cross-communicate installation details. After all steps above are completed, MKE will provide you with a fixed fee construction contract and discuss next steps for the project. Once we have collected the project installment, MKE will begin scheduling the construction timeline, ordering materials, and procuring permits and documents required per local code. Our MKE production manager will set up a kick-off meeting with you to discuss access to your site, delivering materials, and expectations for the project. MKE maintains constant communication with you regarding schedule, material deliveries and site coordination of our team members and tradesmen. After the scope of work has been substantially completed, your MKE project manager will request a site ‘punch list’ walk-through to review your satisfaction with the project and address any outstanding items. We will diligently wrap up the remaining details and leave you with a clean and ready-to-use environment.